The Wrong Question: PowerPoint or Whiteboard? 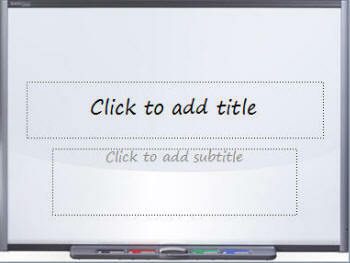 A question I frequently hear raised in sales forums is whether a person should use PowerPoint or a whiteboard for their presentation. I would like to suggest a different question, as asking which tool to use places inappropriate focus on the tool. Let’s look at a common scenario. A prospect or customer asks you to come and deliver a presentation to their team. We won’t get into it in this post as to why this might be a yellow flag, if not a red flag. For this example, let’s assume it is appropriate for you to meet with their team to present. The prospect, knowingly or unknowingly, predetermined your communication to be a “presentation.” As a result, you are enticed to look through the lens of “presentation” and subsequently question whether you should use PowerPoint or a whiteboard. If this sounds familiar, you have fallen into the presentation trap. TIP: When asked to do a presentation, don’t be hemmed into the same format your competitors will use. Ask the prospect if by “presentation,” (s)he means the ‘tool’ you should use (e.g., PowerPoint) or instead, means to effectively achieve the mutually predetermined outcomes in a way that will resonate with the audience. The question alone, begins to set a refreshing contrast between you and the competition. Reps can get so excited by the opportunity to ‘present’ that what gets emphasized is the presentation, subsequently compromising your opportunity to present the case for change. While the percentages are merely illustrative, not recommendations, I often see even lower time given to the audience with much greater time given to designing presentations. 60% on Audience: While knowing titles/roles is necessary, it is not the goal. Know your audience well enough that even with a mixed audience of finance, operations, sales and marketers, you can tailor and speak specifically to the problems they face from their respective areas. 30% on Message: The message should clearly demonstrate that the pain of staying the same is greater than the pain of change. The proposal for change should ultimately lead to the areas your organization is uniquely able to solve. 10% on Presentation: Shift your focus from building presentations to building a case for change (i.e., The message). The presentation of your message should heighten the case for change. If the tool doesn’t do so, don’t use it. Important to note is that if you have not created a core message* that demonstrates the pain of staying the same is greater than the pain of change that generally addresses the problems of the industries you work with, the percentage of time spent goes up greatly for the message the first time you create that. This is not only appropriate to spend more time here, but is critical to your success. *By ‘core message,’ I mean that given the industry you work in and the common issues those within your industry struggle with are at the core of the industry. The representative ‘30%’ indicated above is therefore, referring to the amount of time it will take to tailor your core message into a specific message for your prospect, given the audience and unique problems they face.